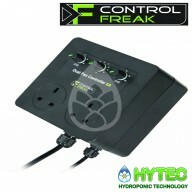 Fan controllers are a must for any grower who wants to achieve the best possible yields by giving your plants an enviroment they can thrive in. 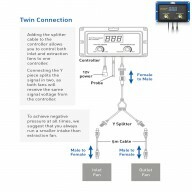 G.A.S EC SPEED CONTROLLER The GAS EC speed controller is the perfect way to control the speeds of two EC fans. Powered from the fan there is no need for a power pack. No need of extra power pack with active cable Control two EC fans Set maximum speed of each fan ..
CONTROL FREAK FAN SPEED CONTROLLER 5AMP A digital fan speed controller which is easy to set and automatically adjusts the fan speed to maintain the set desired temperature. 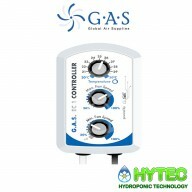 Temperature controlled Easy to set - Just dial in temperature and min/max fan speeds Fan operates between min and ..
HUMIDISTAT HR-HRSA Easy to install, the Humidistat HR-HRSA will help you to control the relative humidity in your grow room - vital if you want healthy plants! 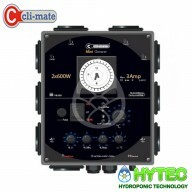 ..
CLI-MATE 4A FAN CONTROLLER The Cli-Mate fan controller regulates the supply and suction capabilities. It is very simple to use with the dial and buttons. 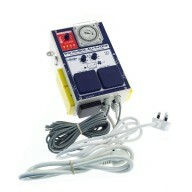 The controller allows you to have full control of the air supply. 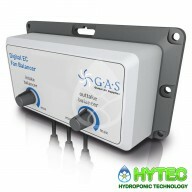 Works in two steps, perform automatic temperature Very simple operati..
G.A.S Multiphase Fan Balancer for phresh HYPERFAN CONTROLLER The fan speed balancer is also available as an add on if you have two fans that are not ideally suited to be used together. 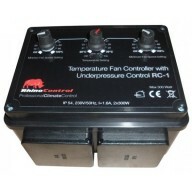 For example, if you are using two fans that are the same in terms of air movement you will want to give mo..
SMS Twin Controller Mk2 4.5A The Twin Controller Mk2 makes it easy to control IN and OUT fans to maintain temperature and negative pressure. 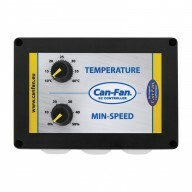 Easy to set - Just dial in temperature and min/max fan speeds. 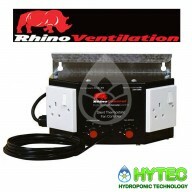 Fans operate between min and max settings to maintain temperature SMSCOM 'Motion Flow'..
Let Rhino do the work! 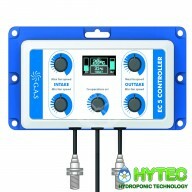 The RC-1 thermostatically controlled, dual fan controller enables growers to create the ultimate two fan air exchange system. 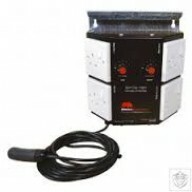 Intake and extraction fans will run at maximum speed to quickly establish desired temperature, once reached the fans will drop to a minimum idle speed ..
SMS Temp Protector 16A Protect plants from Temperature spikes Protects lamps from hot-restrike Great for closed loop grow rooms Easy to use Fully automatic The SMSCOM Temp Protector provides a failsafe system that protects the room against excessive temperatures. Should ..
RAM AIR-PRO II Fan Speed Controller The RAM AIR-PRO II is an intelligent and silent indoor climate controller designed to control two inline/exhaust fans thermostatically, monitoring and keeping the desired room temperature and air pressure. 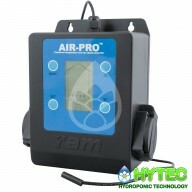 The RAM AIR-PRO High Power operates at up to 7 amps .. Fan Controller only for Qmax- EC Fan EC is a new motor architecture (available in all Q-Max and Max-Fan Pro Series extractors) that represents a step forward in the sector, Since it considerably improves the aerodynamic efficiency in relation with power consumption, which means better f..
CONTROL FREAK DUAL FAN CONTROLLER 6AMP The Dual Controller is easy to use and is ideal for controlling inlet and exhaust fans to maintain the set desired temperature and the optimum negative pressure. 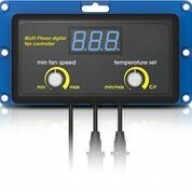 Digital Multiple fan speed controller Temperature controlled Easy to set - Just dial i..
G.A.S Digital Fan Controller for Phresh Hyper Fans The Multi Phase Digital Fan Speed Controller from Global Air Supplies is a thermostatically controlled fan speed controller for digital fan motors such as the Hyper Fans and Stealth Hyper Fans from Phresh. Unlike other fan motors, digital fan ..
G.A.S Revolution EC Vector inline fan controller Gas digital EC fan controllers have been specifically designed to control the revolution vector fan range. 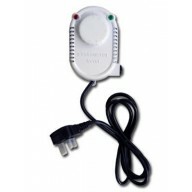 They control the fans correctly through 0-10 volts. 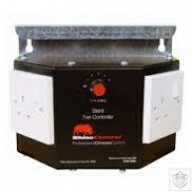 No humming from the fans Save on power cost Precise climate control Shows min..
SMSCom 4.5-Amp Pro V2 Twin Fan Speed Temp Controller with Dark Cycle Sensor The Twin Controller PRO works in exactly the same way as the original Twin Controller but has an additional programme added to its software to remove excess humidity from the growroom during the lights off cycle. When th..
Rhino silent fan controller 2 A Silently controls both intake and exhaust fans, allowing negative pressure to be maintained. 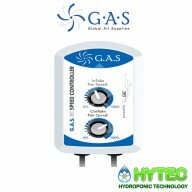 Housed in durable steel casing with a galvanized back panel ready to hang either inside or outside of the grow room. 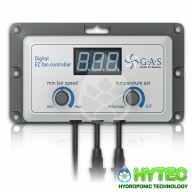 5 Speed settings Available as 2A or 8A ..
EC5 FAN CONTROLLER & BALANCER G.A.S newest controller, the EC5 Fan Controller plugs directly into any of the Systemair EC fan range.The EC5 fan controller is a thermostatic controller with RTT technology - meaning it intelligently reacts to changes in your grow room temperature and will incre..
Rhino Silent Day/Night Climate Controller 2 A Silently controls both intake and exhaust fans. 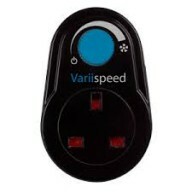 Adjusts fans to run at different speeds during lights-on and lights-off periods. Also powers an oscillating fan when lights are on and a heater when lights are off. 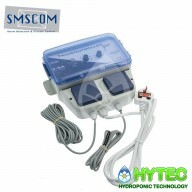 ​Silently controls both intake and ..
SMSCOM ALL-IN-ONE 2-WAY SWITCHBOX - FOR 2 X 600W GROW LIGHTS, 2 X FANS AND 1 X HEATER The SMSCOM SwitchBox 2L All-in-One is a complete control unit for lights, heater and ventilators. 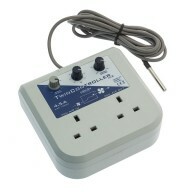 The SwitchBox 2L All-in-One allows you to control 2 lights of a maximum of 600w each. The added Double Digital Fa..
Rhino Silent Thermostatic Fan Controller 5 Speed 2 Amp The controller’s sensor scans the environment every 20 seconds to determine the best fan speed for the set optimum temperature. 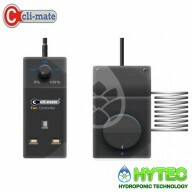 Housed in durable steel casing with a galvanised back panel ready to hang either inside or outside of the grow ro..
CLI-MATE MINI GROWER CONTROLLER 3A The Mini-Controller is an ‘all in one’ hybrid controller for the control of indoor climate, lighting and heating devices. 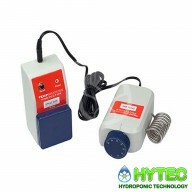 It is very easy to use and made from the highest quality components making it extremely reliable and durable. 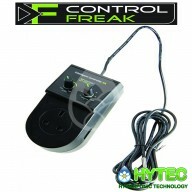 Plug and Play User fri..